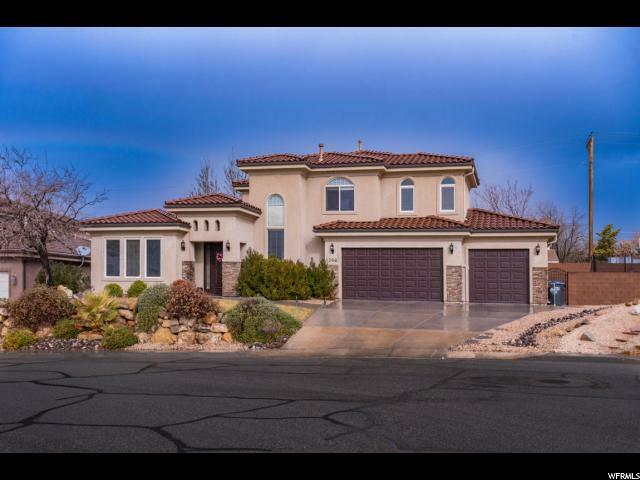 All SHADOW SPRINGS homes currently listed for sale in St. George as of 04/23/2019 are shown below. You can change the search criteria at any time by pressing the 'Change Search' button below. If you have any questions or you would like more information about any St. George homes for sale or other St. George real estate, please contact us and one of our knowledgeable St. George REALTORS® would be pleased to assist you.
" Plenty of upgrades in this beautiful Tuscan home! This home was remodeled 5 years ago and was upgraded with Viking appliances, hardwood floors and paint throughout. Washer/dryer hook-ups in Master closet. Spacious, well-lit home office and grand entry with 15 ft ceilings. 10 ft ceilings and high doors on the main floor. Open main level floorplan and backyard are great for entertaining guests. Beautiful views of Green Valley and sunny St. George from the front door. New water heater, new A/C unit for upstairs. Don't miss out on the chance to own this perfect family home! "